how 'bout making a history... and winning somethin'? We want to feature the funniest, on-point, brilliant comments - weekly! It will be published with a photo on our fanpage and the winner will receive a Skull Totem! 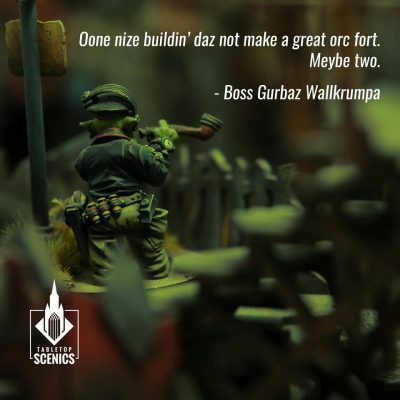 Scratch your headz, poor yer thoughts to metal bawkses and enjoy! The bitter winds of winter howl across the frozen earth, cutting to the bone. All things living either shrivel or slumber beneath a shroud of heavy, white death. The only source of hope in this dismal, seemingly endless season is the festive light that glows warmly at the end of December… but even the holidays aren't safe from the reach of the creatures that thrive in darkness. Fantasy Flight Games is proud to announce the limited release of the Arkham Holiday Playmats, available exclusively on our website here from now until December 17th! 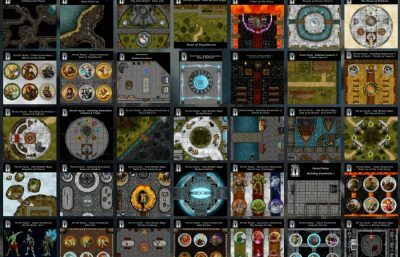 Power Virtual TableTop, a platform to build encounters and play fantasy tabletop roleplaying games online, has partnered with Mythic Portal Games, a graphic and art studio, to offer you 6000+ assets and 2 brand new asset packs every month for $9.99/month. Power VTT features a collection of free online tools including a powerful but simple map editor, tailored for building RPG encounters with features like snap-to-grid, asset search, and simple importing and exporting options to use in other VTTs or to print at home. Since the 1970's I've been a big fan of the 1970's action movie, 'The Wild Geese' so as a model maker and gamer it seemed only natural to put together a set of gaming terrain for playing out the key scenarios from the movie. Earlier in the year we spent several days watching the movie in great detail, freeze framing and taking screen shots to come up with a plan for the prison / barrack block. 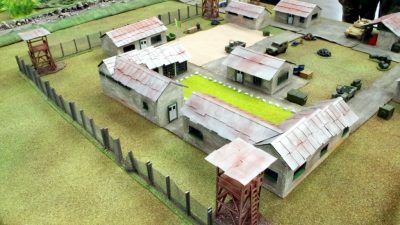 At this year’s Partizan Wargames show we put on a ‘The Wild Geese’ participation game using prototypes of the buildings. The game was very well received. Since then we have had lots of inquiries about making the building kits available, which we are now doing via this kick starter campaign. All of the kits are constructed from sturdy 3mm MDF for walls and thinner 2mm MDF for roofs, floors, doors and window frames. Construction is very straight forward. Sheets of embossed plastic ‘corrugated metal’ sheeting are supplied with each building to be cut into squares to be glued on to roof sections. All roofs are removable and buildings have interior partitions where applicable.